Altogether Quilting has been quilting in the Canberra area Since 2002. 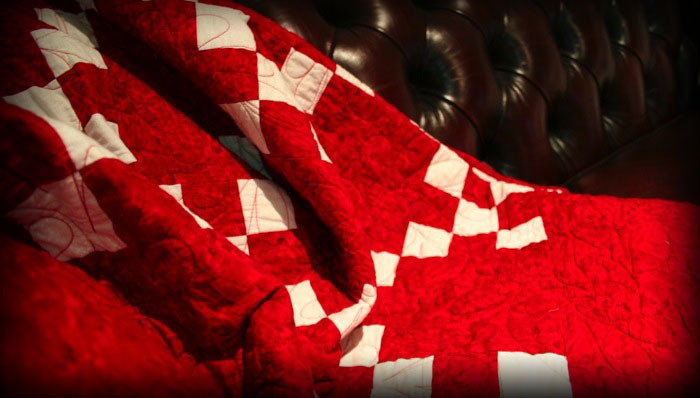 All quilts featured on this site were quilted by Altogether Quilting. No material may be reproduced from these pages without the express written permission of the author. First established in 2002 with a ‘Gammill’ classic plus long arm machine. Mid 2007 saw the installation of the ‘Intelliquilter' computerised quilting system onto the ‘Gammill’. In 2018, Altogether Quilting moved to Wodonga, Vic. We are continuing to provide the same service to all of our customers that we always have, please contact us to see how we can help you out.